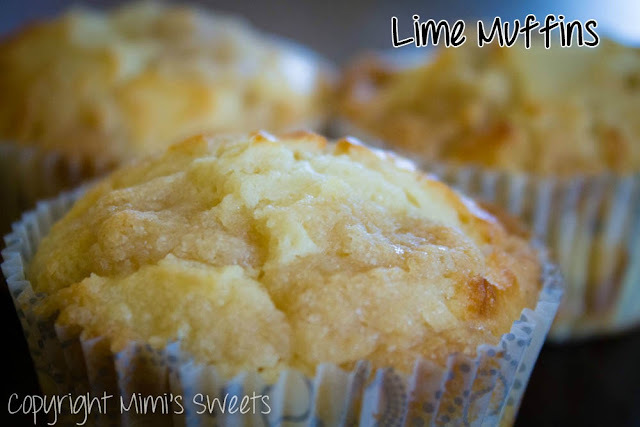 These are not your usual breakfast muffin, but they are scrumptious with their flaky streusel tops and mildly tangy lime flavor! To be honest, there wasn't any "ah-ha" moment in deciding to make these. I had some extra limes that needed to be used before they went bad, and I really wanted to make muffins. I don't usually use limes in my recipes, so it was a great opportunity for me to further hone my baking skills. These muffins are really great. They have just the right amount of sweetness, the perfect amount of lime, are really moist, and have that great flaky top. 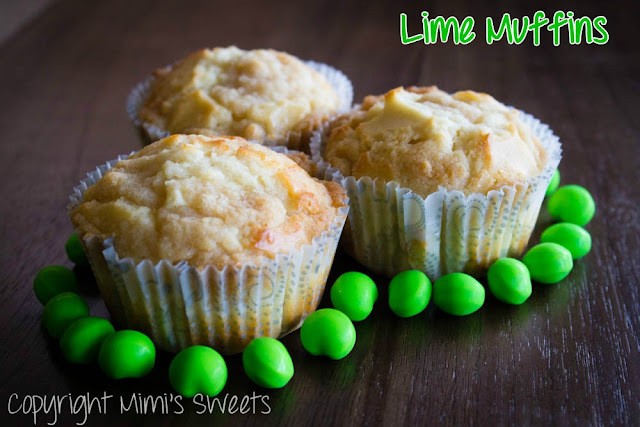 Regardless of whether you are a fan of lime, you will enjoy these! Want to make them taste even better? Warm them back up and top them with some homemade strawberry or raspberry preserves! Mmm mmm mmm yummy! So, what do you prefer? Lime by itself, lime with strawberry, lime with raspberry? Or is there another fruit that you like to mix with limes? 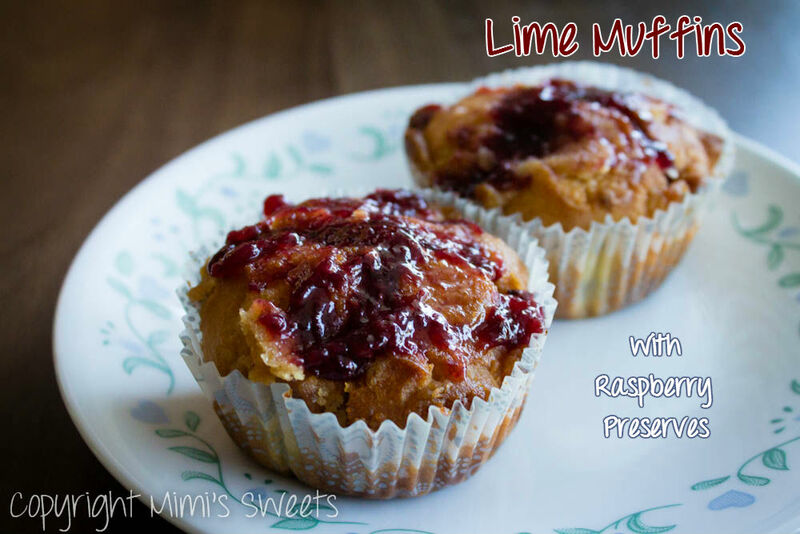 If you like these, you'll also love my Strawberry Streusel Muffins!